Rough Hand Made has opened on the Royal Albert Dock Liverpool. The family-run bakery has brought its perfectly imperfect hand-crafted pastries, pittas, breads and sandwiches – all made freshly each day to its own unique recipes – to the Dock. 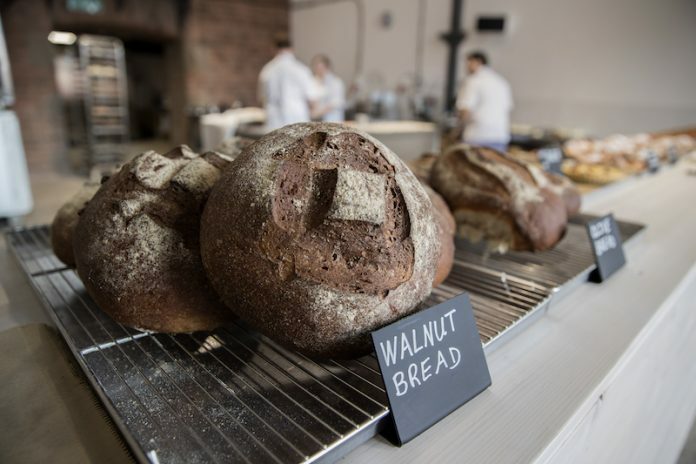 After four years on Penny Lane, Carlos and Sharon Goldman have moved their business from one world-famous Liverpool landmark to another, creating a bright and airy bakery at the Britannia Pavilion. Now, along with a new location for customers to enjoy Rough Hand Made straight from the oven specialities, they have created a space to sit and have lunch and coffee too. The couple run Rough Hand Made with son Evy, and everything about it reflects their love for what they do. Originally from Buenos Aires in Argentina, Carlos’s South American heritage literally provides the soundtrack to their daily routine. Self-taught baker Carlos has come up with flavours and recipe combinations which have become Rough Hand Made’s sought-after signature bakes and they’ve gained the business a huge devoted following across the city. Sweet and savoury pastries fly out as soon as they leave the oven, and customers pre-order the “fluffy cloud” pitta breads so they don’t miss out. There’s no uniform shapes and sizes, though, or even the same varieties each week. That’s not the Rough Hand Made way.